Education: Currently studying at Diablo Valley College, with the goal of transferring to the California Conservatory of Jazz (Berkeley Jazz School). Private studies with Dave Schroeder (10 years, guitar), Mike Williams (2 years, guitar), Mark Simons (2 years, guitar), and Bob Foxcroft (3 years, piano). Key teaching concepts: Technique, reading, ear training and improvising. Book/Methods Used: Alfred’s or Mel Bay method books for guitar, ukulele and piano, Chris Parkening method and Pumping Nylon for classical guitar, Bela Bartok Mikrokosmos and Hannon’s Virtuoso Pianist for piano technique. Having “saved the day” many times as a substitute teacher when emergencies hit our regular staff, Cory likely holds the record for the most students taught at Music Time Academy. After being our hero for so long, we could not be more excited to have Cory in the studios regularly on Sundays, teaching just about any instrument. Cory is a native to the Bay Area, born in San Francisco, raised in Daly City and currently residing in Bay Point. A man of so many varied musical talents, Cory is experienced and passionate in just about all things music, regardless of any particular limitations of instrument or genre. 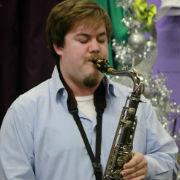 He sites his influences from a wide variety music styles, including rock, blues, jazz, metal and classical. Despite having already completed years of studies on piano, guitar, bass, ukulele, viola and flute, Cory continues to pursue his own musical growth as not just a teacher of music, but also a student. He currently studies at the respected Diablo Valley College Music Department, with plans to transfer to the California Conservatory of Jazz. 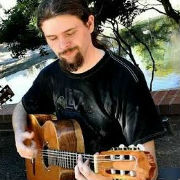 He is experienced in private lessons as both a student and instructor, having studied guitar and piano with some of the Bay Area’s most notable private lessons instructors (outside of Music Time Academy staff, of course).